Glasgow Art School's 3D images to aid restoration Jump to media player A series of 3D images mapping the Glasgow School of Art are to be used in the restoration process of the fire-damaged Macintosh building. Art school's treasure trove preserved Jump to media player Archive saved from the fire at Glasgow School of Art is proving essential to those involved in rebuilding the Mackintosh building. 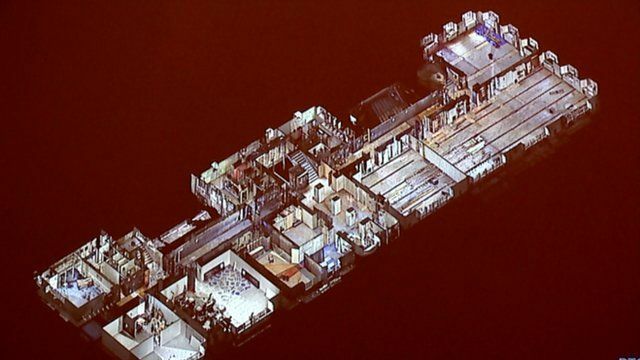 Glasgow School of Art's digital design department has created 3D images of the fire-damaged Mackintosh building. Artists in the studio hope that the images, which have been mapped to the millimetre, will help the team who are to repair the site which was destroyed in the May 2014 fire. BBC Scotland's Aileen Clarke has been to see the graphics.